Vijay is going to Costa Rica. 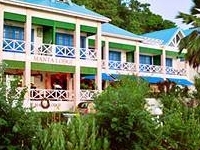 Travelers are voting Manta Lodge as the best lodge in Trinidad and Tobago. Want more? Check out our map of lodges in Trinidad and Tobago or this 1 lodges near Scarborough.